Sulfur Dioxide (sulfite) or Campden Tablets (a pre-measured form of Sulfur Dioxide) has been used for thousands of years in the winemaking process. Sulfur dioxide acts as an anti-oxidant (keeps wine from browning) and as an anti-bacterial. Campden tablets are a convenient, premeasured form of sulfite making it easy for the home winemaking to add just the correct amount of sulfur to the wine or must. One tablet added to one gallon of wine or must will add 30 ppm of free sulfur dioxide. 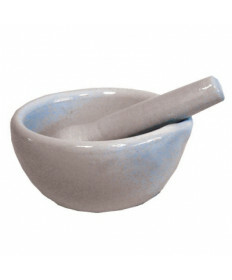 The recommended dose for most wines is 1-2 tablets per gallon before bulk aging and at bottling. 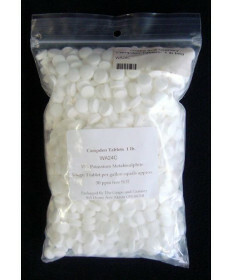 The Grape and Granary stocks several types of tablets including Campden which must be crushed prior to adding to the must, and Oenosteryl Effervescent Tablets which do not need to be crushed but dissolve by themselves. 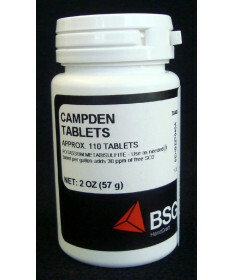 Contact Us if you have questions about any of our sulfur dioxide (Campden) tablets.